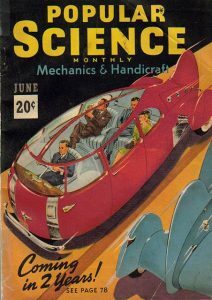 For your ancestors in the 1920s into the 1950s, what was science fiction stories, illustrations, or movies has inspired technology that we use today. 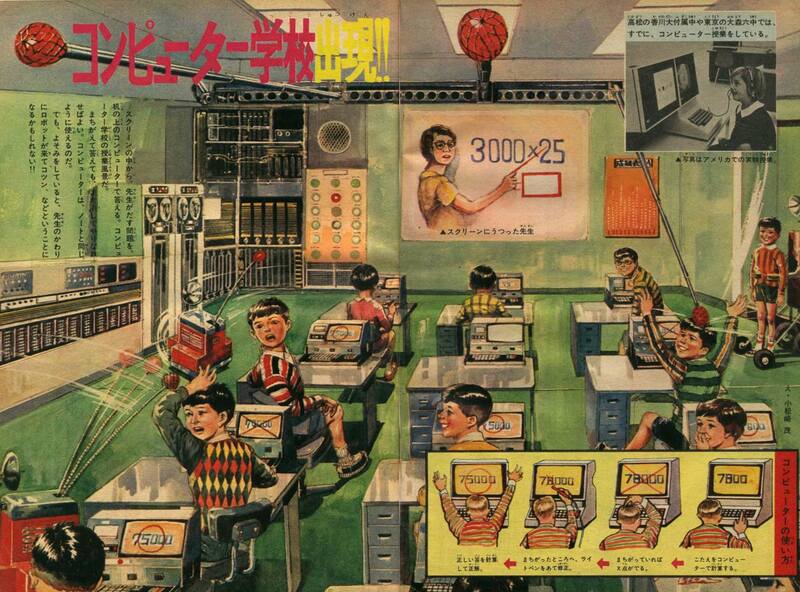 Little did our ancestors really imagine that today’s everyday devices were first illustrated decades earlier. It is amazing how ‘close’ to maybe predicting the future many of these stories and illustrations were back years earlier. Some examples really outstanding are the hand-held devices where you could view the person you were speaking with – today it is using a smartphone or tablet and using Skype. This was illustrated in 1930 and becomes reality in the 21st century. 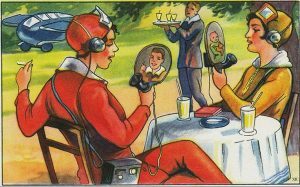 Yet there were some video calling devices, very large and limited, that were used in the 1930s. 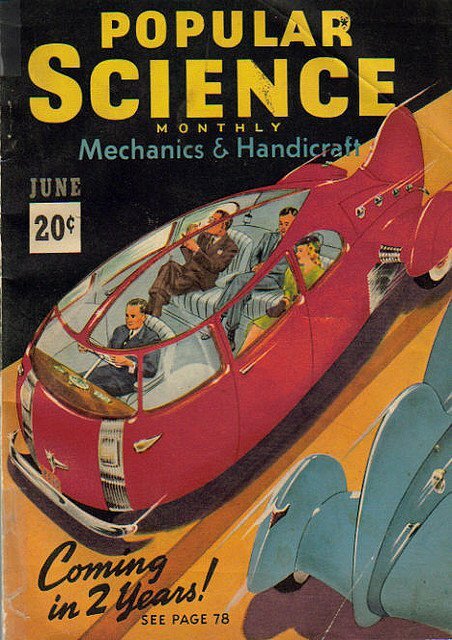 Then there were the self-driving automobiles as pictured in Popular Science in 1940. It was predicted that would happen within two years. Of course, World War II happened instead. 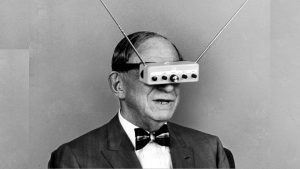 In the early 1960s Hugo Gernsback (considered as the father of science fiction by some), wore a model of an apparatus that was mentioned in one of his stories. Hugo named this gadget “TV glasses”. 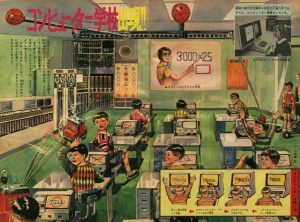 His idea was that people one day would be able to watch TV so close, at the point at which they will be able to interact with the screen. This photo appeared in Life Magazine. 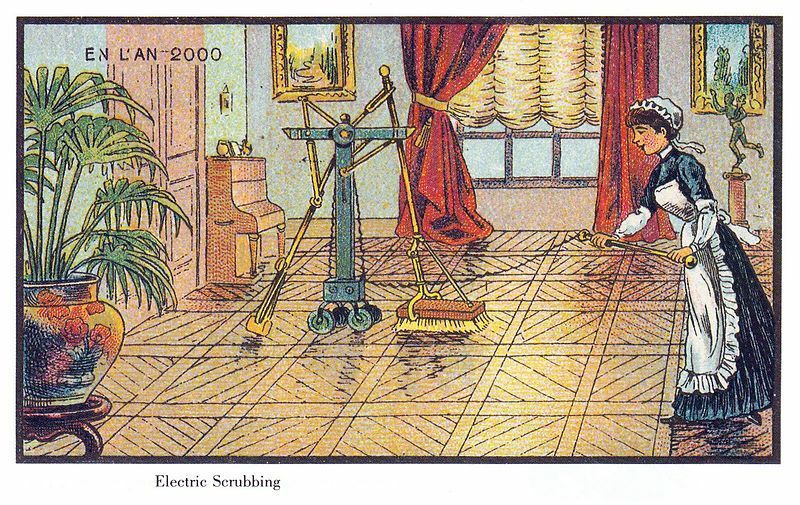 Even in the 1910s there were predictions of self-cleaning machines for the home. 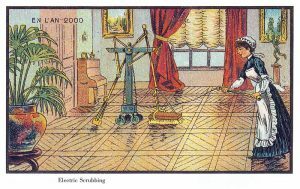 “Electric scrubbing” is something that came out really accurate and right on time. At the beginning of the century, with the development of robotics technology, companies started producing robots that clean your house without the housewife having to do it. The classroom becomes digital with computers for each student and the teacher seen on a big screen. Every school task is done trough the input on the screen. The “digital teacher” checks the progress of the students automatically. Besides that, notice how the robots punish disobedient students. This was illustrated in 1963. 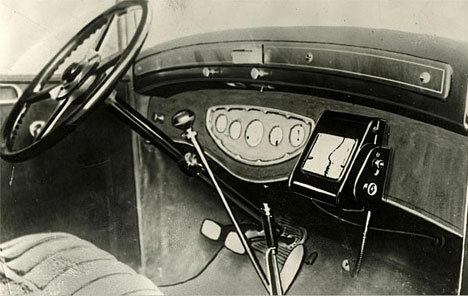 In 1927 there was shown the in-car navigation system, long before today’s GPS system. 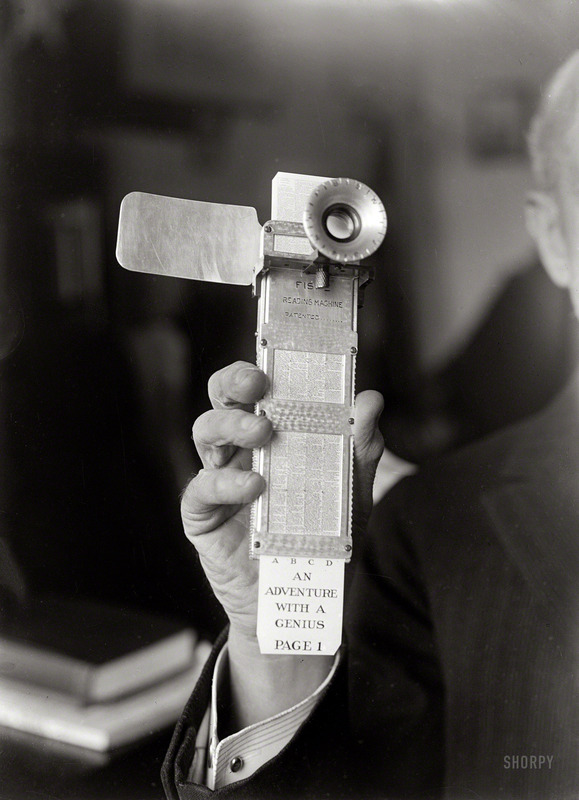 Also in the early 1920s was the Fiske Reading Machine in the hand of its inventor, Rear Admiral Bradley Fiske. It was “reading machine” that folds into the size of a fountain pen and was designed to do away with bulky books. E-Books are a reality today. Truly some fascinating ideas that your ancestors may have been exposed to decades ago that are now commonplace. Photos: 1927 video device; self-driving cars of 1940; TV Glasses of the early 1960s; house cleaning devices of the 1910s; the digital classroom in the 1960s; In car navigation system sported a similar look today’s GPS system in autos; and the reading machine of the 1920s.